What Does Route of Administration Mean? Does Back Pain Drug Route of Administration Matter? While taking a pill for back or neck pain is usually the most well-known and easiest form of medication delivery, there are other ways introduce a pain relieving substance into your body. A route of administration is the way in which a drug enters your system. Aside from taking a medication by mouth, also called the oral route, you might have an injection into a muscle, as sometimes is the case with painful trigger points. Wearing a patch on your skin and inhaling the drug through your nose are two other common routes of administration. Why So Many Administration Routes for Back Pain? Other routes of administration pain relieving drugs may take include injection into the epidural space or surgically implanted drug pumps. And this is not a complete list, either. Why so many routes? Can’t simply taking a pill do the job? The effectiveness of a drug taken by mouth has to do with, among other things, what happens as it travels through the gastrointestinal system. All oral medication must be digested and absorbed before the active ingredient is released into your body. This means that timing is a factor. Because the ingredients of a tablet or pill must go through the digestive process before it can start working — and before you realize the benefits of the drug — the oral route may take longer than those that directly introduce the medication into the intended target area. Not only that, but the chemistry that affects absorption from the GI tract is not always understood. For this reason, your doctor may not know how or if the pill will help you reduce pain. This lack of understanding is one reason enteric-coated medications were developed. And it may get worse. With some drugs, adsorption from the small intestine into the area of body where they are supposed to do their work can be problematic. It is also possible that digestive enzymes may destroy the drug before it has a chance to have an effect. One thing that s known is that the chemistry of active ingredient absorption affects when the drug starts working. Gastrointestinal side effects and/or issues with dosage (i.e., how much medicine you need in order to get the pain relief you seek) are other things that may make taking pain medications orally difficult or impossible. Another reason for a variety of administration routes is related to the fact that some people cannot eat, and therefore cannot take a pill. An inability to eat is usually because of the patient’s condition or the presence of a disease. All of that said, an oral route for NSAIDs is generally the most effective for most types of spine pain. NSAIDs are often the go-to medication, and taking them orally may be the easiest way to get relief. A review published in Acta Anaesthesiologica Scandinavica found that other than in cases of renal colic, there's no evidence to support injecting NSAIDs over taking the drug by mouth. The study also found that reported adverse effects related to the route of administration tended to be due to either intramuscular or rectal injections. The authors say that most of the time, discomfort at the site of injection was the main complaint. One of the problems providers face when attempting to help their back pain patients get relief of their moderate to severe pain is the conundrum around prescribing opioids. 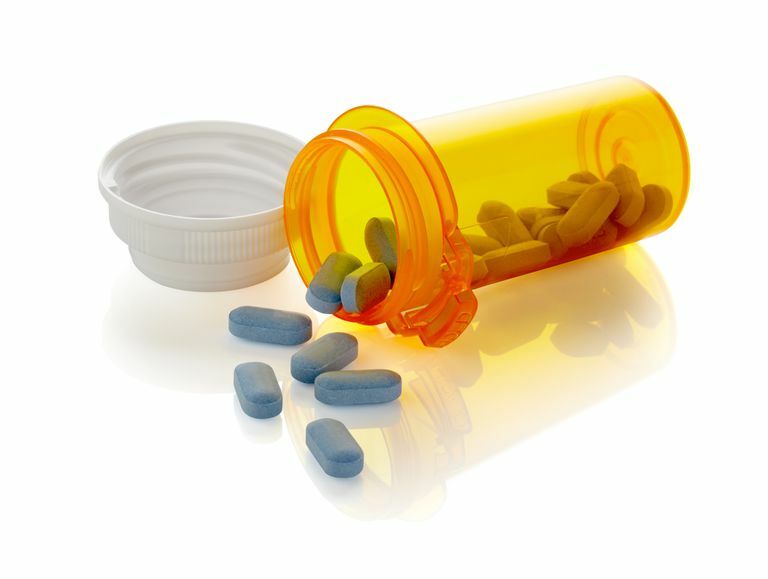 Opioids are narcotic drugs that may put you at risk for an addiction. Most practitioners want to help their patients feel better, while at the same time avoid leading them to a dependence on narcotic drugs. But instead of taking opioids as prescribed, some patients re-purpose the active ingredient by changing the route of administration, usually to inhaling or injecting. This practice is dangerous, according to experts. A 2018 study published in the Journal of Pain Research, discusses ADF, or abuse deterrent formulation of opioid products. Such products, the study authors say, are tamper resistant as well as "designed to resist abuse by those who want to smoke, inhale, or inject the active agent." Basically, these products make it difficult or impossible to extract the opioid for the purposes of inhaling or shooting up. Sequestered naltrexone is used to achieve the resistance to tampering, and most ADF opioid products are extended release formulation. The authors specifically mention ALO-02, as a new type of opioid formulation that, they say, may provide value to prescribing physicians who are concerned their patients use the drug according to their instructions. As of February, 2018, the U.S. Food and Drug Administration has granted ADF labeling permissions to fewer than twelve opioid formulations, but the authors project that the number will rise in the near future. Jain, K., MD. Drug Delivery Systems, Humana Press. 2008, Totowa, NJ.